يحظى فندق كليفتون سويتس أون نورث بورن بمكان متميز في محور كانبرا مطاعم, سياحة في منطقة برادون الفاتنة. يمكن من هنا للضيوف الاستمتاع بسهولة الوصول إلى كل ما تقدمه هذه المدينة النابضة بالحياة. سوف يعشق النزلاء موقع هذا الفندق، فهو قريب من أهم المعالم السياحية في المدينة كمثل ‪The Hamlet‬, ‪Canberra City Church‬, Drill Hall Gallery . إن الخدمات الممتازة وحسن الضيافة العالي في كليفتون سويتس أون نورث بورن تجعل إقامتك تجربة لا تنسى. يقدم الفندق خدمة الغرف على مدار الساعة, خدمة التنظيف يوميًا, خدمة سيارات الأجرة, مجهز لذوي الإحتياجات الخاصة, مكتب الاستقبال على مدار الساعة لضمان الراحة القصوى لضيوفه. يمكن للنزلاء الاختيار من ضمن مجموعة من الغرف المصممة بعناية لتعكس جواً من الراحة، والتي يتجاوز عددها 153. يقدم الفندق العديد من الفرص للاستجمام كمثل مركز للياقة البدنية, مسار جولف - ضمن 3 كم, حمام سباحة خارجي. إن كليفتون سويتس أون نورث بورن هو خيارك لخدمة الفنادق الراقية في كانبرا. Apartment was basic but comfortable enough for a short stay. Apartments were a good size with all the necessary inclusions. Free wifi. Bed was okay but not that comfortable. 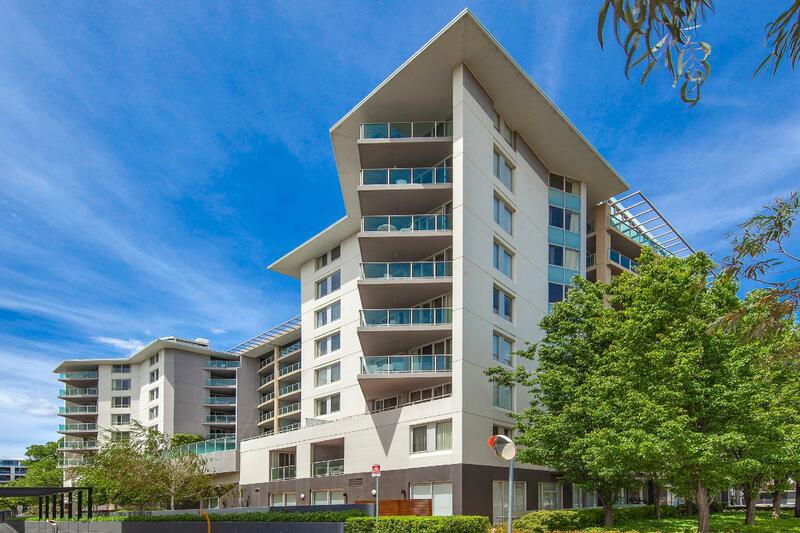 It has a great location near Lonsdale Street for a great choice of cafes and restaurants. Pool was pleasant for a quick swim! On arrival we were asked to pay $15 per day parking which was not clearly stated on the Agoda site. That was a bit disappointing. The appartment had x2 rooms x1 with a queen bed with access to the bathroom and another with x2 single beds. 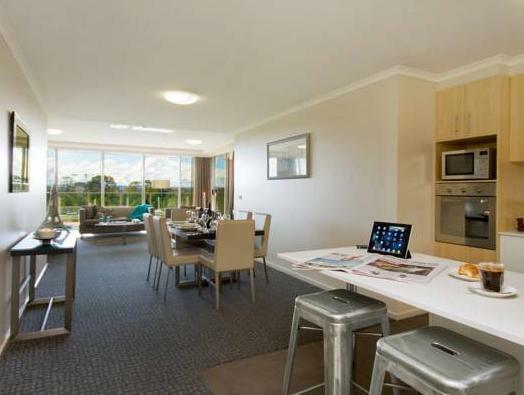 There was only x1 bathroom but was ok and the appartment had an open plan kitchen/ dining/ lounge room. There was a pull out couch bed and a large balcony. Well worth the money. We have been staying at Pacific Suites ( formerly Clifton) for years . It is always our first choice in ACT. We travel to ACT at least 12 times a year. Love the location now that Bradden is full of great restaurants & cafes and still a pleasant 10 minute walk to Civic. The furnishing could do with an update, Crockery is always an issue (1 bedroom x 2 coffee mugs or 2 bed etc) but staff are more than happy to supply additional crockery when asked. Under cover parking for a minimal fee ($10). My family was very happy to stay at this service apartment. The apartment provides good facilities with clean & spacious room and also the location is quite convenient & only about 10 minutes walking distance to the shopping center. We definitely will come back someday in the future. We had 7 adults and booked two 2-bedrooms apartment for Friday night only with free undercover parking and free WiFi. Size of each apartment is large & comfortable with everything needed in your house. It is a short walk to the Civic with shops & restaurants. Half price buffet breakfast at $15 is good value. Our apartments located on 4th floor & the Northbourne Ave side so a bit of traffic noise overnight. We will stay again at our next visit to Canberra and would definitely recommend it for families. We stayed in a two bedroom apartment. Very specious and contained everything we needed. Loved the under floor heating in the bathrooms. 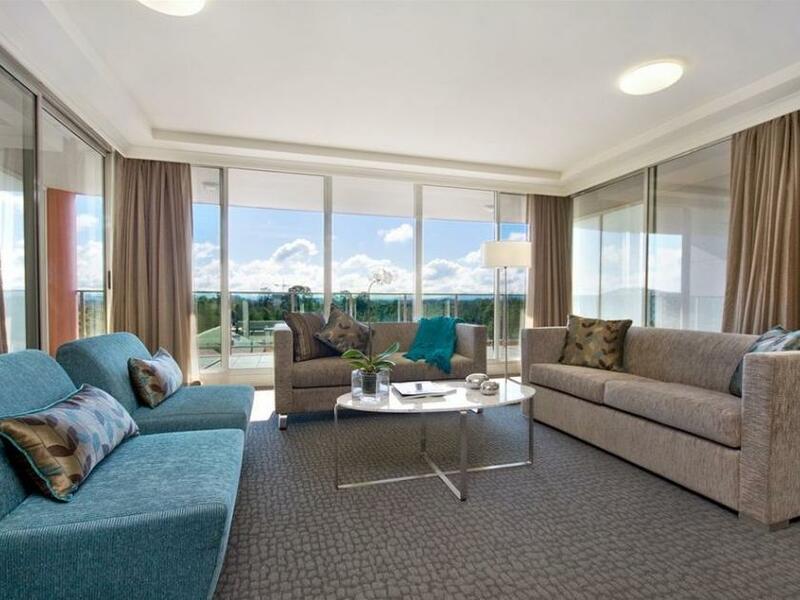 Well located, about a 10 minute walk to Canberra Centre. Would definitely stay here again. Apartment very spacious and comfortable. Best point was the friendly and helpful staff, however our apartment and bedroom was right next to the pool door which slams shut as people enter and exit. Other than that, we found the Clifton very accommodating and would stay again. It was a great stay although it was a bit too short for us. The 2-bedroom apartment is very spacious and our special requests (i.e. late checkout and higher floor room) were entertained by the staff. We were satisfied with the stay and would definitely stay at Clifton Suites again. It is a short walk to Civic and restaurants, great location and friendly staffs. Unfortunately, we found our 2-bedroom apartment not completely clean with leftover lolly wrappers and dirt lying around. Also, some of the towels were also dirty. Overall, a good value place to stay. Only slightly weird thing in our two bedroom suite was that the ensuite was connected to the room with two singles, rather than the one with the king bed. Plenty of good underground carparking. Food in the restaurant was nice too. First time staying here. I love the bed badly :D You can walk down around 5 mins & McDonalds is there. The good thing is that we had rent a car 'Budget' and it was just behind the hotel. Very ez access..
Two bedroom room was a beautiful apartment with every facility needed. Been renovated and was perfect for a few days stay. Most hotels in Australia like this are usually run down and expensive. Free Wifi, Breakfast was $15 but worth it. Suitable buffet, nothing outrageous. Check in was a breeze and easy. Gym was great for a hotel this size. Cons: $10 parking. At $270 a night just include parking. Its not much, but I dont know why Aus hotels charge these small things. Breakfast: We cancelled a booking for breakfast and they didnt charge. Which was good, if expected (hotel didnt make any extra food for that booking). I didnt really need to be reminded about proper booking practice though. Aus hotels dont really get the small stuff right. Great location, comfortable, spacious and clean room. WiFi speed was good. Water pressure was good. Walking distance to eateries and shopping. Overall, I was satisfied with my stay in this hotel. My second stay here was exactly as I remembered it! From the friendly and helpful staff right through to the great tunes playing at breakfast - perfect! 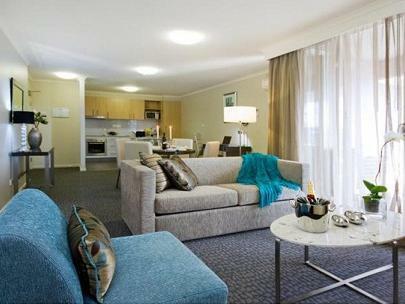 Hi Stephanie, thank you for returning to Pacific Suites Canberra again on your recent trip. We are delighted you enjoyed your experience and rated our facilities and quality so highly. We look forward to welcoming you back again soon. 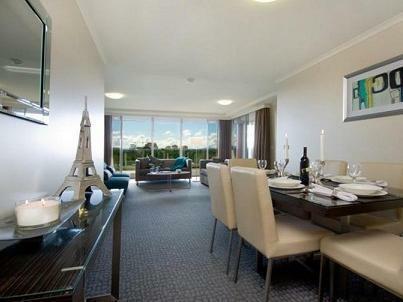 Best Wishes, Pacific Suites Canberra. Excellent value for a really spacious apartment. Location is great, right around the corner from a lively street of restaurants and cafes. Staff were friendly and helpful. Unfortunately when we stayed the pool was closed due to a maintenance problem, this was a bit disappointing as it was the main reason we picked Pacific Suites. Thankfully, we managed to grab a quick swim before checkout the following morning. It was just one of the things as we really liked Pacific Suites otherwise. Hi Kerry, thank you for choosing to stay with us and we are delighted you enjoyed your experience at Pacific Suites Canberra and our close proximity to Braddon and surrounds. We apologise for the inconvenience of the pool maintenance, we pride ourselves on providing a high quality of service and ensuring to maintain our facilities to a high standard, and unfortunately this overlapped with your stay. So glad you were able to enjoy our pool for a swim before you checked out. We look forward to welcoming you again soon. Best Wishes, Pacific Suites Canberra. Great hotel. Good value. Nice heated flooring in bathroom. Beautiful view of black mountain tower (we were lucky to get on 8th floor). Good size even with 5 kids! Highly recommended. The only issue was the building works so it was annoying having the doors/windows open but almost sound proof with everything shut. Will defiantly be back.